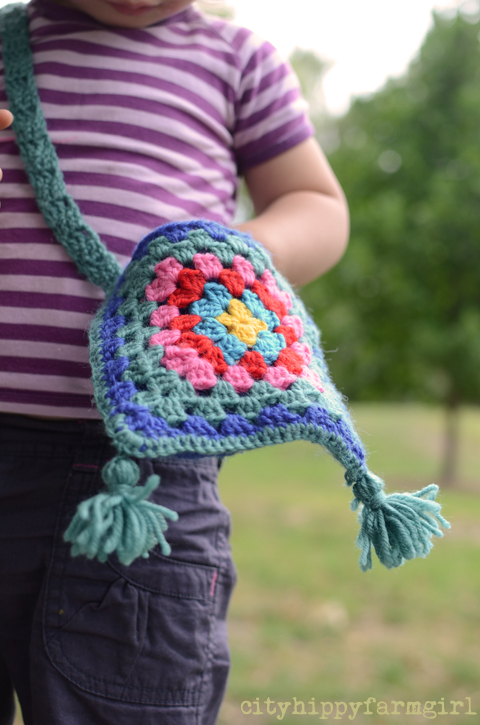 This entry was posted in Making, Creating + Frugal Living, Rambles, Waffles and Digressions and tagged bag, colourful, crochet, granny square, green living, Making and Creating, simple handmade gifts by cityhippyfarmgirl. Bookmark the permalink. LOVE it Brydie! The perfect colour combo, and the perfect size for little hands. I can relate to craft projects turning into something other than originally imagined; but morphing is part of the thrill of making isn’t it! 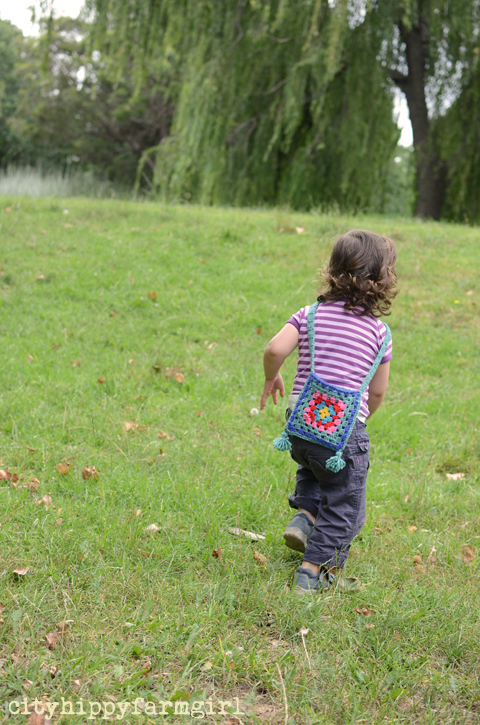 We’re trying to squeeze in as much craft as we can before the school holidays end. Perfect heatwave escape – I guess you’ve been experiencing the stinking hot weather too? Saskia, we’ve been really lucky. Although humid, we haven’t the hot weather that so much of the country has had. Hope that is the end of it for you! It’s beautiful Brydie! Your kids are lucky with such a crafty and skilled mumma!!! Beautiful girl and a bag to match . . . perfect. Love the colours, too. Thanks Linne, I liked the colours too. Aww, so ca-ute!! The bag and your little monkey-girl! Loving those tassles, Brydie! Now..what treasures to fill it with…? I love the little bag and the girl carrying it. Thanks for the little bit of sunshine Brydie- you are very talented! 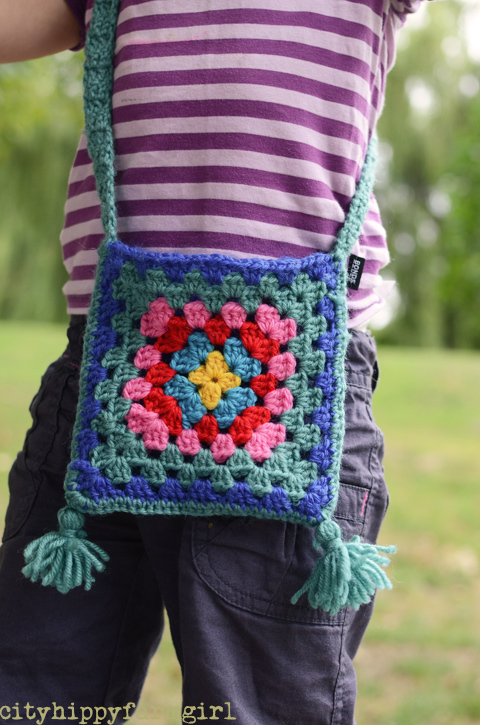 What a fantastic bag, the colours are great. What a delightful little bag and the cute little poms poms. Look how happy your little one is! Beautiful gift from mama to daughter. purposely simpler Johanna 🙂 if you feel the words I would love to hear your input down the track. Oh yes you do, you do!!! Nap times should only be for creative outlet. I feel ripped off if I spend it all doing chores! such a perfect little bag.